Places to see! People to meet! Horatio simply can't seem to settle down with a whole world of possibility at his doorstep. The solution? He'll start his own ice cream stand to fund his wanderlust. Follow Horatio on his globe-trotting adventure as he takes tasty treats to some of the wackiest customers on earth. Keep a level head and a steady eye on those orders, and you'll meet persnickety pirates, crusty penguins, ravenous cubs, and and the rest of their ice cream loving friends. 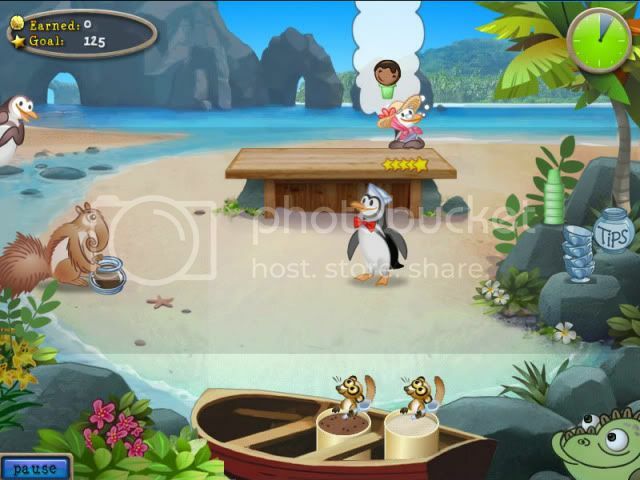 Tour paradise and become the fastest scoop in the animal kingdom.